Another common misconception people have is that their motorcycle coverage will cover their medical bills and lost wages just like their car insurance. Nothing could be further from the truth. Unlike with cars, there is no “no fault” coverage for motorcycles. Basic motorcycle coverage is designed to cover property damage and personal injuries sustained by others in the event you are found responsible for a collision. It is not designed to protect YOU! For a limited time, I am offering a FREE INSURANCE REVIEW! Send me a copy of your motorcycle insurance declaration page by fax or e-mail, and I will explain to you what your policy covers, and what it doesn’t, and also recommend coverage amounts you should consider to make sure you are protected in the event of a motorcycle collision. 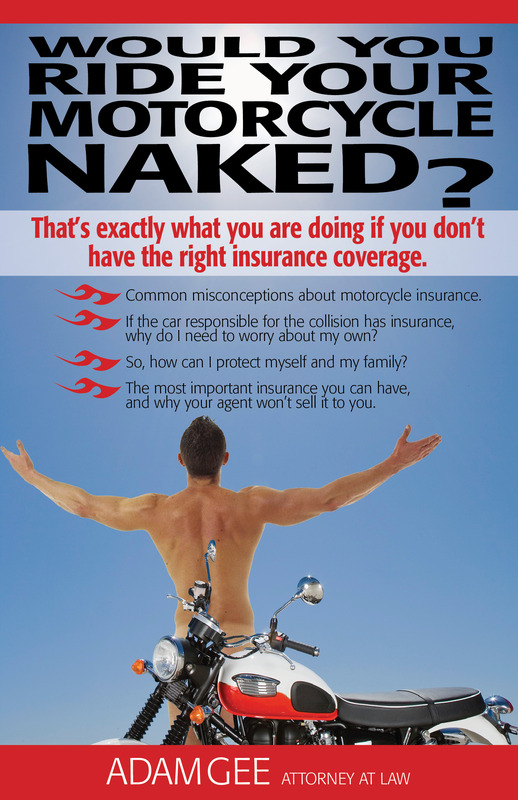 This post is the fifth in a eight-part series covered in my book, “Would You Ride Your Motorcycle Naked?” It is available FREE to New York or Pennsylvania bikers, and to those whose loved ones are bikers. Click the link above to get your free copy now, before it is too late! 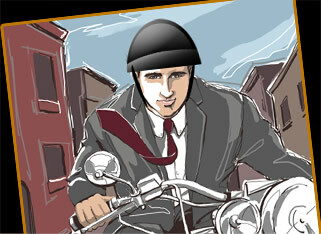 This entry was posted in Motorcycle Injury Cases, Motorcycle Insurance. Bookmark the permalink. ← Motorcycle Insurance Misconceptions Part 5 – My Homeowner’s Insurance Will Cover Me!